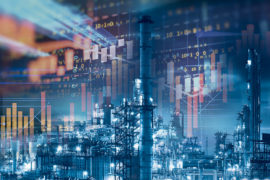 HMS Industrial Networks has acquired IXXAT Automation – a leading supplier of communication technology for industrial automation, machine manufacturing and the automotive industry. IXXAT was founded in 1987 and is headquartered in Weingarten, Germany. 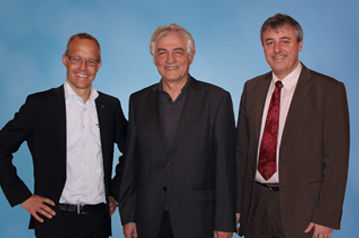 Image above: From left: Staffan Dahlström, CEO at HMS, Prof. Dr.-Ing. Konrad Etschberger, founder of IXXAT, Christian Schlegel, Managing Director at IXXAT. 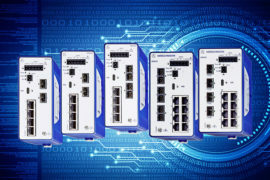 While IXXAT is known as a leading supplier of CAN-based as well as EtherCAT-, Powerlink and FlexRay- communication technology, HMS has a leading position in the Profibus/Profinet and DeviceNet/EtherNet/IP markets. Together, the two companies will have the most complete and competitive offer of communication technology for the automation markets. 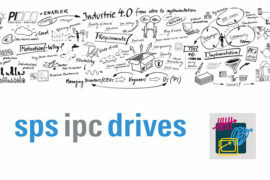 IXXAT Automation has a turnover of 14 million Euro and employs 85 people of whom 50 are product development engineers. IXXAT offers software and hardware solutions for CAN, a number of industrial Ethernet standards and IEEE 1588, FlexRay, and LIN. They also offer customized hardware components within embedded subsystems as well as complete embedded system solutions for a broad range of world-wide markets like industrial, medical, power generation and automotive. 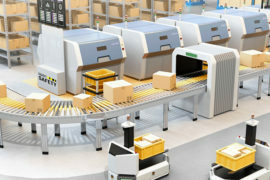 With more than 25 years of experience, IXXAT is a well-known supplier of products and services within embedded systems and data communication for industrial automation and the automotive industry. The company also develops technology platforms within safety solutions, according to IEC 61508. IXXAT has subsidiaries in the U.S. and France and sells its products via distributors in 25 countries. HMS Industrial Networks is the leading independent supplier of products for industrial communication including remote management. 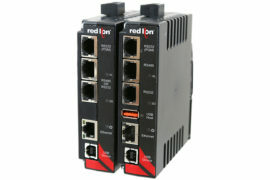 HMS develops and manufactures solutions for connecting automation devices and systems to industrial networks under the Anybus® and Netbiter brands®. Development and manufacturing take place at the headquarters in Halmstad, Sweden. 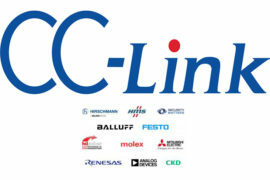 Local sales and support are handled by branch offices in China, Denmark, France, Germany, India, Italy, Japan, UK, and USA. HMS employs over 260 people and reported sales of 42.5 million EUR in 2011. HMS is listed on the NASDAQ OMX in Stockholm. “Together IXXAT and HMS will become an industrial communication group with 350 employees and sales of more than 50 million Euro – a world market leader in our industry”, concludes Dahlström.